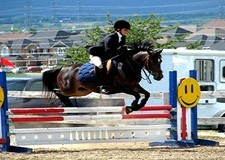 Durham Pony Club was founded in 1979 and initially served a large area within Durham Region in Ontario. 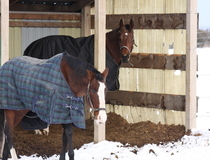 While additional clubs have been added in the area over the past 30 years, Durham Pony Club continues to serve the communities near Ajax, Bowmanville, Oshawa, Whitby, Blackstock, Burketon, Orono and Tyrone. 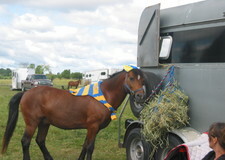 The first Durham Pony club meetings were held at the Brock High School near Cannington in 1979. The club started with 31 members. And we are stilling going strong today. As one of the oldest clubs, we are proud to say we are still extremely active and will continue to be for many years to come. 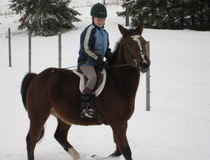 Durham has always been a well rounded club and has always been strong in providing a good education base and as well as competing in all pony club disciplines. Club Clinics are held on a regular basis and have included such clinicians as Diana Burnett, Danny Foster and John Hobson. 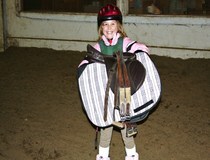 Durham Pony Club has also had been focused on providing its members with a wide variety of equine experiences and learning opportunities. In the earlier years, Durham was associated with the Bethany Hills Hunt Club until the BHHC amalgamated with the Frontenac Hunt. 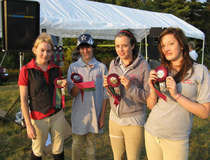 Durham Pony Club members were able to hunt and participate in Hunter paces put on by the hunt club. 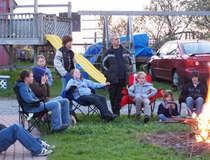 In 2007, Durham Pony Club along with long time supporters Bill and Nancy Murray, hosted the first ever LeTrec event for Canadian Pony Club. 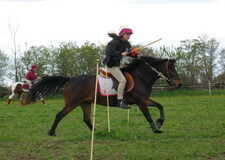 LeTrec is a three phase competition that promotes orienteering, control of gaits and horsemanship skills and is still being run today. 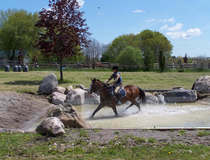 Durham has hosted many shows from National Tetrathlon in 1988, The Durham Cup, which was a 3 ring hunter/jumper show that had its beginnings at the Brooklin Fair grounds, to hosting Regional shows such as Show Jumping and Dressage.